This picturesque scene is located in the constellation Coma Berenices. 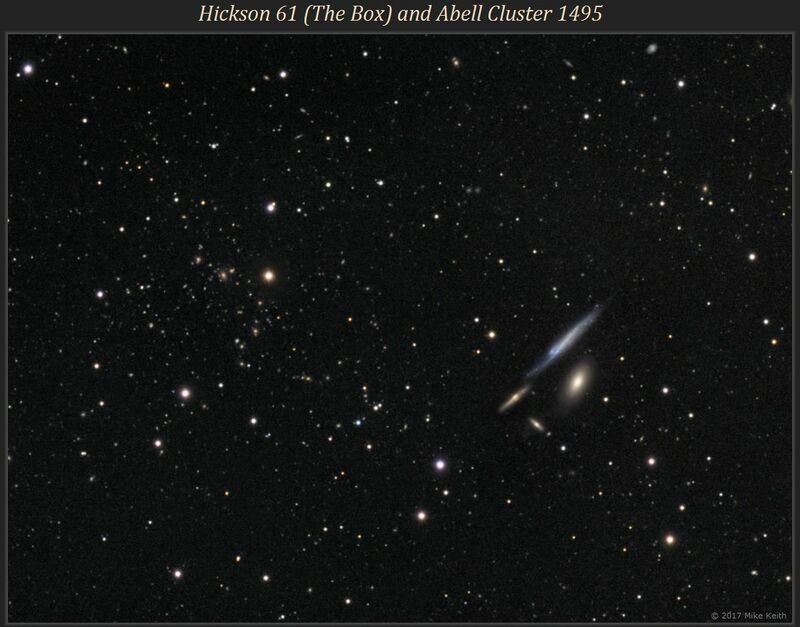 On the right is galaxy group Hickson 61, known as "The Box" due to its shape. The bluish spiral at the top is NGC 4173 and the edge-on galaxy next to it is NGC 4175. The smallest galaxy, at the bottom, is NGC 4174 and the last one (an elliptical) is NGC 4169. 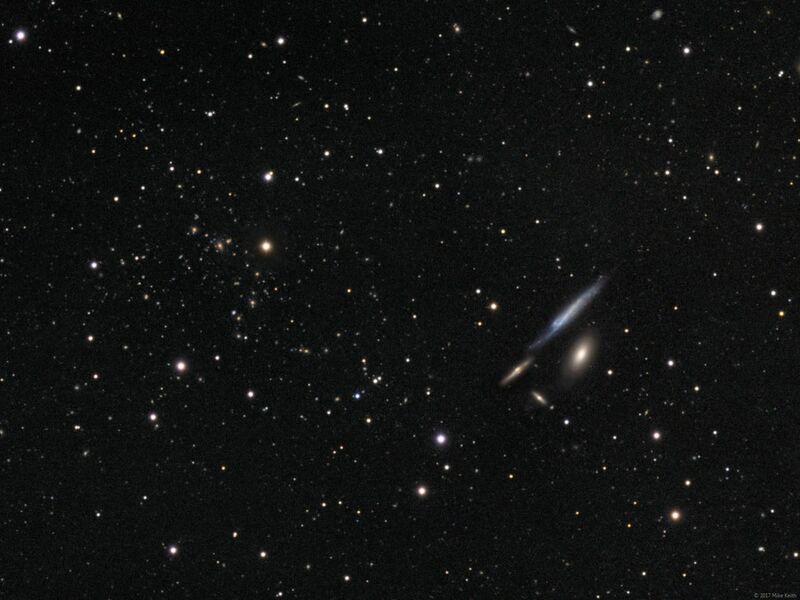 The bluish NGC 4173 is only about 50 million light years distant while the other three are at a distance of about 180 million light years, indicating that NGC 4169, 4174, and 4175 are likely to be physically related while NGC 4173 is definitely a foreground object. On the left side of the frame is a swarm of distant galaxies known as the Abell 1495 galaxy cluster, located about 1.7 Billion light years away. This cluster has more than 100 member galaxies and spans an area in the sky about the size of a full moon. This image is a 4-hour exposure with 180:20:20:20 minutes of L:R:G:B.